Join us for the largest Alumni Event of the year – Homecoming 2018! Still interested in joining? Great! Attend the Hawk Walk Parade at 10 a.m. and check in afterward at the non-registered table at Alumni House. See you then! This year, the University Store will open early! Update your Monmouth wardrobe while on-campus. Don’t forget to use your alumni discount coupon received at the pre-registered check-in line during the Alumni Tailgate Party. 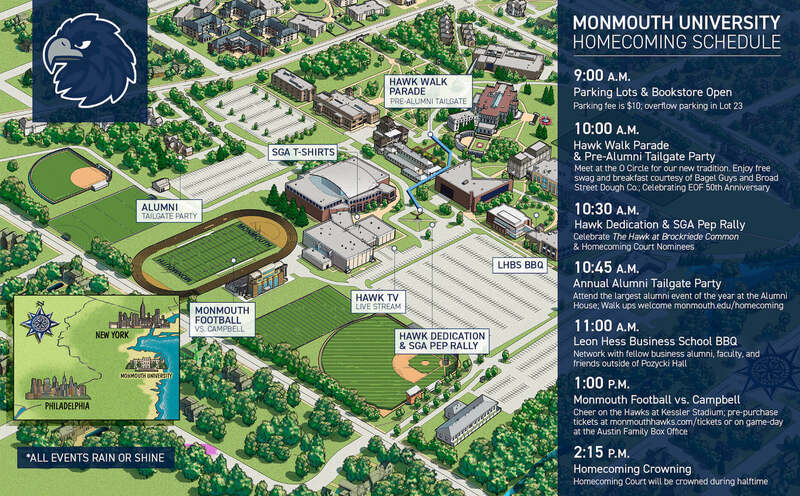 Walk with your alumni friends and family alongside Monmouth Football, pep-band, cheer and dance-teams from outside Wilson Hall to Brockriede Common as we kick-off Homecoming 2018 with the unveiling of The Hawk. Celebrate Monmouth’s 85th Anniversary with a special ribbon cutting ceremony at Brockriede Common. Thanks to the generosity of renowned alumni sculptor, Brian Hanlon ’88 and wife Michelle Hanlon ’90 and the Brockriede family, Monmouth will welcome a new point of pride to campus – a 20’-wide bronze Hawk statue – The Hawk at Brockriede Common. Free Registration – Suggested Donation of $5 to support the next generation of Hawks. Doors open at 10:30 a.m. — or come right after the parade. 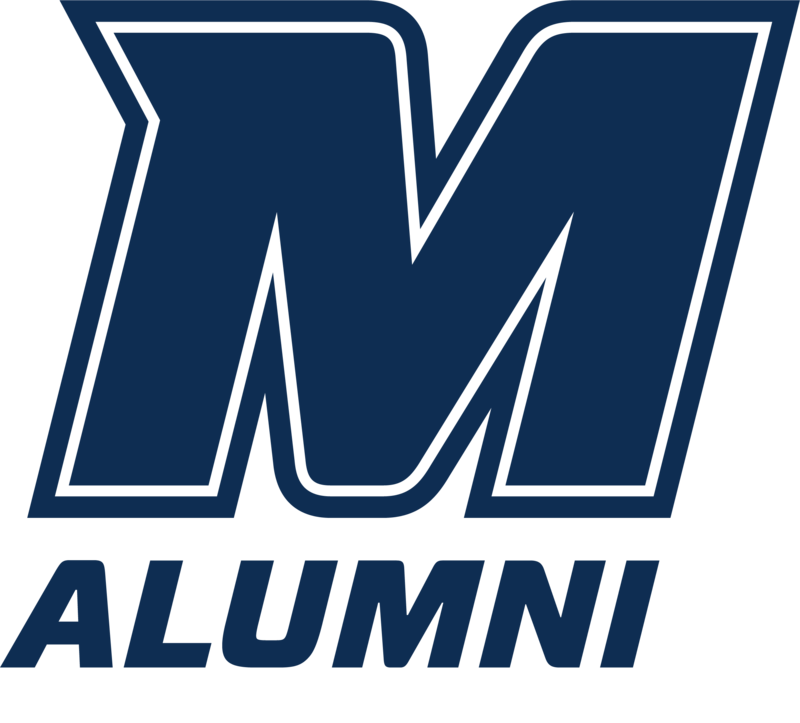 Join us for Monmouth’s largest alumni tailgate party of the year. Enjoy reminiscing over good eats, cash bar, backyard games, family-fun, bookstore discounts and alumni-exclusive swag for registered guests. Afterward, help cheer on the football team during their Kessler Stadium matchup against Campbell University (see below for ticket information). The Alumni Association Board of Directors is excited to offer our largest alumni event at no cost. This year in lieu of a registration fee or 50/50 raffle, we are asking you to support future Hawks by making a suggested gift of $5 to benefit Monmouth’s Scholarship Fund. Your participation as an alumni donor helps to recruit and retain students, increase national rankings, and bolster the value of your degree. Come by yourself, with fellow Hawks, or alongside your Hawk family. Network with fellow business alumni, faculty, and friends. Homecoming Court will be crowned during halftime. Contact the Office of Alumni Engagement and Annual Giving at 732-571-3489 or alumni@monmouth.edu. Update your contact information for more Alumni events throughout the year! For registered alumni only. Information provided during check-in.